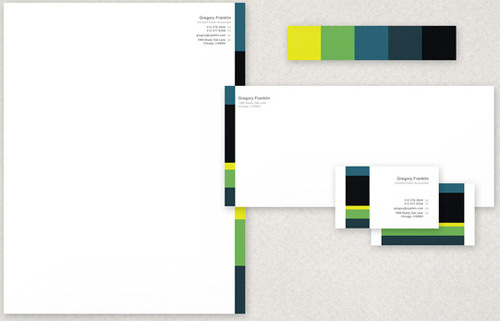 Obviously we love color... but we also love when color is used in great design. And our friends over at Moo have a project to take old boring business cards and make them beautiful... and some of those cards might be yours. Introducing our new initiative called ‘The Business Card Project. 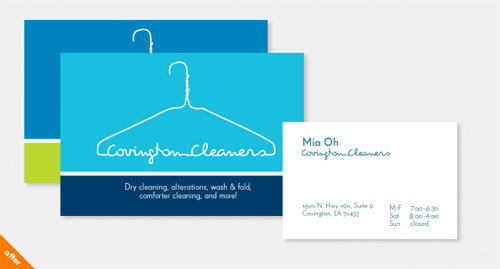 You may be wondering, “What exactly is The Business Card Project?” Well, think of it as Extreme Makeover: Business Card Edition. 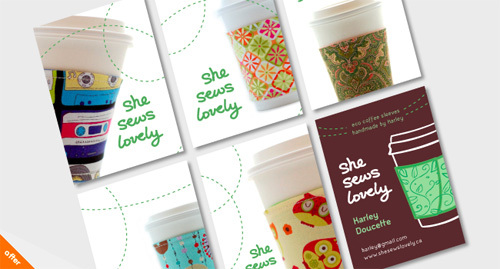 We’ve decided to giveaway over $250,000 worth of our own professional design advice (a personalized consultation, complete redesign and a set of final cards to boot) to 500 small businesses – that’s over $500 each! 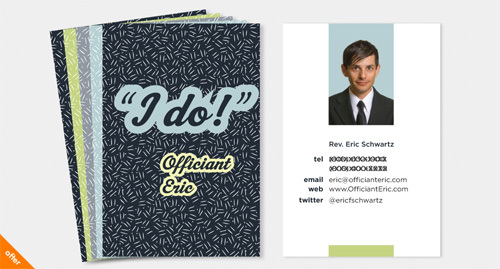 And while we’re sure your cards are great (being a MOOster and all! ), you probably know someone who could use a little help. 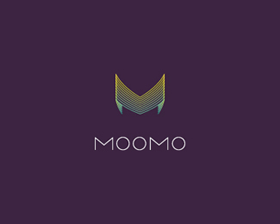 If you know of one of these businesses/people who have a great business but rather boring and unrepresentative cards, why not suggest they apply to get their cards redesigned by MOO? If we’re sure we can fix them, we’ll get in touch and redesign their cards for free. What could be better than that? 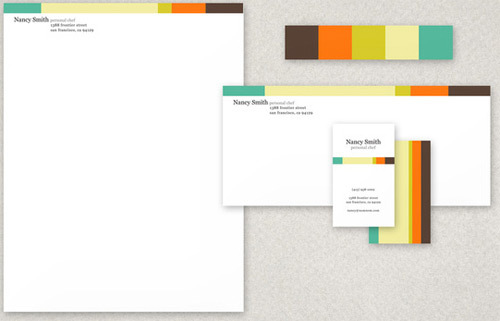 Our team of designers is standing by with the time and the skill to redesign their business cards. We're happy to be a partner on this project and hope to see some of your cards made a bit more beautiful... and colorful. Apply. 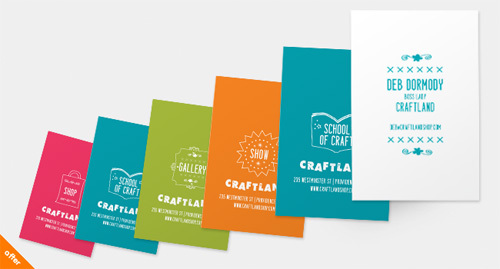 There is still a chance to get your cards redesigned. Since adding in content channels a few months ago, we've had some great new writers join our community to share ideas & insights in the areas of fashion, wedding planning, interior / web / print design and crafts. 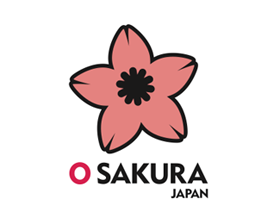 As we grow the amount of content we produce we hope to attract even more COLOURlovers from around the world who are passionate about color and how to use it in their own world.... We want to help you get from color inspiration to execution. As a life long entrepreneur and business owner, I'm stoked to announce the new business channel for our creative & entrepreneurial friends. As technology makes it more and more easy for an independent creative professional to reach a mass market, there's an amazing opportunity for hobby creatives to become micro-business owners... and maybe some day creative-moguls! Maybe you have a local retail store or you share your work with our friends at Etsy... Our new channel aims to provide you with Ideas, information & inspiration for how to convert on the ROI of color. We're still a growing small-business ourselves and what always keeps us from sharing as much color love as we would want to is the limited resources we have... So, I'm excited to have the new channel supported by a top & quality brand like HP... who is a big believer in the power of color. Their support will allow us to add even more blog posts than we're publishing now and to expand our community to even more people. Along with the support from HP, we're getting some great help with the channel from John Jantsch of Duct Tape Marketing, who is signing on to share insights and interviews with small business owners about how they're using color in their work. As always we'll be sharing our own inspiration galleries and fun color posts too. Do you have a great story to tell about the colors of your business? 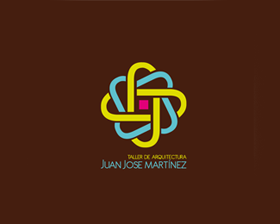 Logos from LogoPond. Find the direct links in the trend section. A week or so ago we threw a little party for our friends and fellow COLOURlovers to get together and share some color love. We showcased a wall of fabric from the good people at Spoonflower that we had printed with patterns from the community and we also displayed some awesome wall art from our friends at Imagekind. Wow. We've been working very hard over the last year, months and weeks to make this new site happen... and after a slight delay... We're ready to share it with the world. There are some obvious and not so obvious updates and changes, so I'll give you a little guided tour through some of the big stuff. While you'll probably notice the look and feel first, we've actually rebuilt the code from the ground up too. So not only do we have a light, open and hopefully more user friendly design... we have a new architecture that will let us scale with the growth of the community and add new robust features that wouldn't have worked on our prior code. Welcome home. The homepage is the first experience a lot of people have with our site and we wanted to make it a bit more user friendly for the first time viewer who may have experienced color overload with the previous site. Lots of people get referred here by a friend who said "if you're looking for great wedding color ideas go to COLOURlovers..." or "you should check out COLOURlovers for web design colors...", but then found a wall of color once they checked out the site. With our new content channels (wedding, home, fashion, web, print & craft) and their placement on the homepage, we hope new lovers will have an easier time jumping in and sharing the love. We're also giving our community a showcase further down the homepage. You can see the latest groups, discussions... and we'll regularly feature one of the amazing people who help make COLOURlovers such a great place. COLOURlovers come here for personal, creative and professional reasons. With our new channels, if your passion is jewelry making... you now have a mini-community inside of COLOURlovers for you to read related blog posts, start or participate in crafty discussions and browse related craft groups. These channels aren't walls inside of the community, but rather different pieces of equipment on the big COLOURlovers playground. 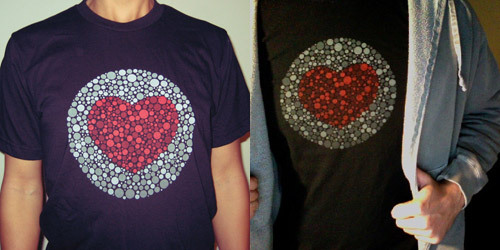 Thanks for Wearing the Love! We Have Shirts Again. It's been a while since the link in our store for t-shirts died... and after trying a out several different on-demand printers we finally decided that to get the best quality prints we were going to have to make the shirts ourselves. So now you can rep the color love offline too. Sponsored Members: Check your love notes for a special thank you 20% off coupon. If you honor us by buying one of our shirts, send us a photo of you wearing it and we'll add it to our online gallery... We may even offer some prizes to the most colorful and creative submissions. 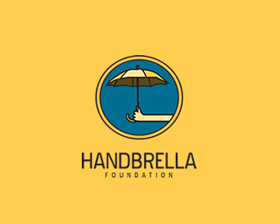 Thank you all for continuing to support our efforts to grow the most supportive and creative community. "Experts" Name Colors of 2010... But What's Yours? Every year color experts announce their opinions on what the next year's hot color will be... This year PANTONE® named theirs Turquoise. Benjamin Moore thinks "Cedar Green is looking to be the "it" color. Hermine Mariaux included "mustard tones; reds in the orange and brown families; deep, inky blues and blacks; and silver" in her colors. ...Looks like we'll have a wide range of hot colors in 2010 and we love that because we think there is a color of the year for each of us. Can the leading color authorities really forecast a color trend anyway? I mean, if you're the most influential voice in a field and you forecast something... You're not really forecasting, you're telling people what they want. We don't think people want to be told what they want. We want you to tell us what you want. Announcing a single color to represent the entire year is a lot like announcing a single song to represent the entire year. Yes, there will be a clear top grossing or breakout song of 2010, but that song can't really speak for every person. Nor can a single color. BUT, every person can speak for their own color of 2010... and that's what we want you to do. It’s easy! 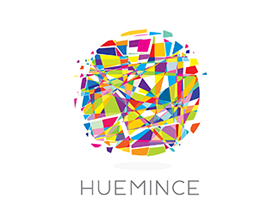 Do some word association, choose your hue, pick your color and give it a name and description as your Color of the Year 2010. Then share it with your friends and let them know you set the trends for the new year. Even if you don't name your own color of the year, you can still help choose the color that best represents 2010. Check out the most popular colors and the new colors, and give your favorites your vote. 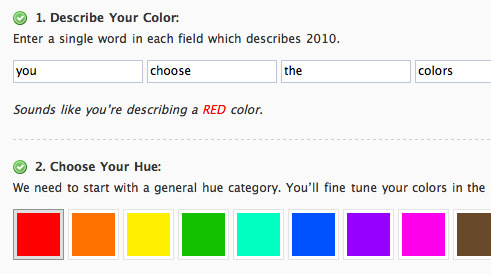 On every color of the year page, we've added some buttons to help you share your favorite colors. 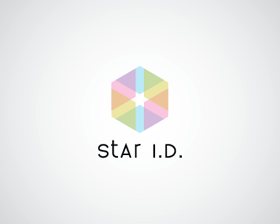 There are also two HTML codes you can grab to put a Color of the Year badge anywhere on the web. We all have some common connections and associations to color based on cultural influences and popular theories, but color is ultimately a unique experience for all of us. And because of that, there is not one set of rules for how to think about and use color. We live in a global community with tools that allow us to create something independently and share it with the masses. This interconnected environment generates a much wider spectrum of color ideas and color applications. We live in an Etsy world where indie creators can reach a global audience of customers. Where a few kids in college can create a global technology juggernaut with little to no thought in their branding decisions. When an artist's work can reach people all over the world without it leaving the easel, or a girl walking down the street can immediately appear on a blog in front of the next generation of fashion designers -- it is clear that influence has become democratized. When individuals can not only reach, but influence the masses; the power shifts away from the small groups of experts and into the hands of the people. There will always be some value in a person with depth of knowledge in a field helping to understand the raw data being generated and complied with technology... but the world is changing. Especially the digital world. And old companies failing to embrace and understand the new emerging digital world will find surviving tough in the years to come. We're forging a color democracy and you get your own vote. We believe in color like we believe in spiritual enlightenment. It isn’t something that can be given to you, but, rather, something that with the right inspiration, information, exploration and practice…you can discover on your own. We'll continue to try and help you find a bit of color enlightenment that has meaning to you. Find your color enlightenment and share the love. Some people call them color palettes and some people call them color schemes... Now we're all part of one big family. 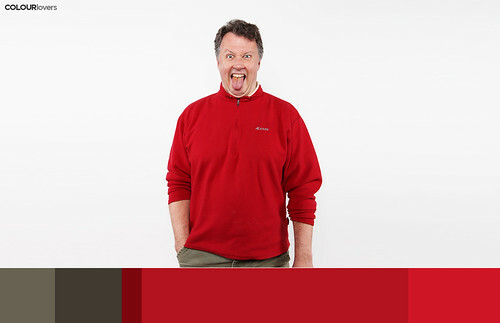 We've known Aaron from ColorSchemer for a few years now and have talked on and off about how we could work together. Well, I'm excited to announce that we're not just working together, we're joining color forces. 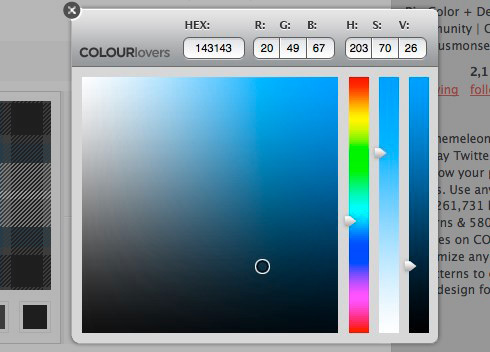 The new release of ColorSchemer Studio 2 for Mac of is the first hint at what the future holds for that partnership with the integration of the 1,000,000 COLOURlovers palettes directly accessible via the software gallery browser. Pretty soon you'll not only be able to browse palettes from COLOURlovers, you'll be able to save your palettes right to our site from your desktop. You'll see the best of what we've been building and the best from what Aaron's been building begin to form together here and in ColorSchemer Studio. ColorSchemer Studio 2 is a professional color-matching application for your Mac that will help you build beautiful color schemes quickly and easily. One of the most common feature requests we get is for adding CMYK support, and now ColorSchemer Studio 2 has it! Not only that, but this new release goes even further by color-managing both RGB and CMYK colors, so you can specify color profiles (just like in Photoshop and other pro graphics apps) to make sure your colors look exactly as you intended. ColorSchemer Studio 2 now color-manages all displayed colors. You can now work with specific color profiles to ensure your color-critical work comes out right the first time, whether it’s for the web or print. Connect to the COLOURlovers community to browse, search, and download over a million color palettes right from the program. 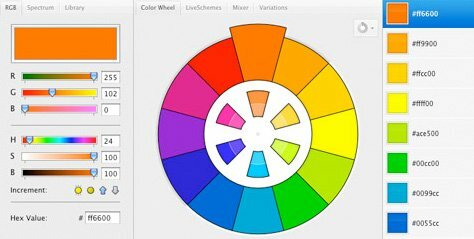 The new LiveSchemes tools help you to visually create color harmony relationships as easily as dragging colors around the color wheel. Create custom LiveScheme formulas based on color theory, or your own creativity. 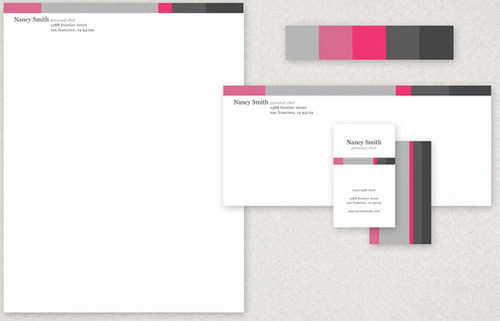 You can also reverse-engineer and color-shift existing color schemes with a simple drag & drop. Browse your saved LiveSchemes to apply custom color theory relationships to any color to build a ready-to-use color scheme. ColorSchemer Studio 2 now comes with 13 different QuickPreview layout templates that you can use to experiment with color scheme ideas in a variety of different settings, including website, blog, print and pattern layouts. Use the new Variations palette to find colors that are similar or related to any starting base color. Organize your colors into groups or folders within your Favorite Colors when building your color schemes. New ways to pick colors: Use the new spectrum picker, or select from among the included color libraries. New import/export formats: Including Adobe Swatch Exchange (ASE), PNG, and XML formats. Enhanced Contrast Analyzer Check text and background color combinations for sufficient contrast and readability, based on W3C, WCAG, or HP accessibility recommendations. Drag-color-to-text Drag a color from ColorSchemer Studio and drop it right into your HTML and it will automatically be converted into a hex value in your code. Improved UI: Most tool windows have been combined into an easier-to-manage single-window interface. In the spirit of Black Friday... we're extending a more colorful offer. If you purchase a license of ColorSchemer Studio in December and get a FREE Sponsored Membership on COLOURlovers as a thank you (a $20 value). ColorSchemer Studio 2 remains $49.99 per license, and discounted upgrade licenses are also available for registered users of ColorSchemer Studio v1.x for $29.99. Also, if you purchased ColorSchemer Studio v1.x after Oct 1, 2009, you are entitled to a free upgrade to ColorSchemer Studio 2. Visit the myColorSchemer section and enter your Order Number to upgrade your license key. This isn't just a product to sell you... this is a product for us to grow together. We've always taken special care to only work with quality products and never compromise the wonderful community and culture we have here. The partnership with ColorSchemer is brand new, so we've only had a little amount of time to work on integrating our services. We plan on bringing the best of both worlds together in the future and you can help us with that. 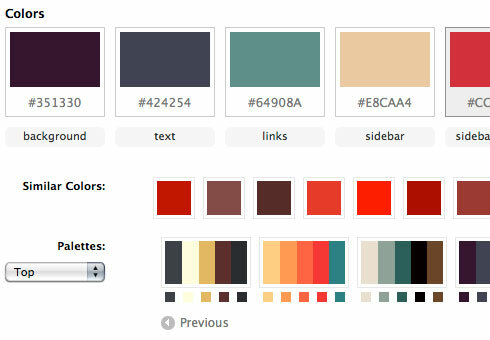 -What would you like to see ColorSchemer include from COPASO? -What would you like to see COLOURlovers bring online from ColorSchemer? 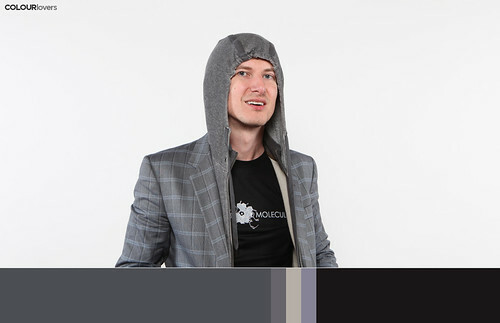 Aaron is now a part of the COLOURlovers family, so welcome him and and let him know how he can help you share the love. 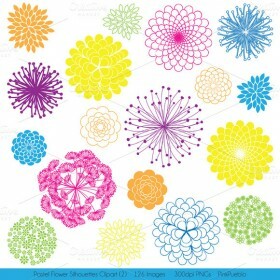 Add some color to your project! 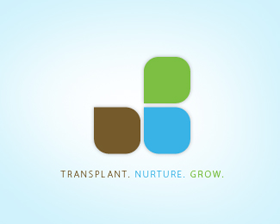 Check out Creative Market for more design solutions. We have more than 600k seamless background patterns and more than 1 million color palettes... Why aren't more sites using our API to give their users beautiful options for their profiles? Sounds like a no-brainer right? Well, I met Evan Williams (@ev) from twitter a few weekends ago and I presented this idea to him. He was open to it, but Twitter was super busy working on other features... BUT if we built it he'd definitely check it out. Well, Ev... Here she is! Ok... So he likes it... He really likes it! 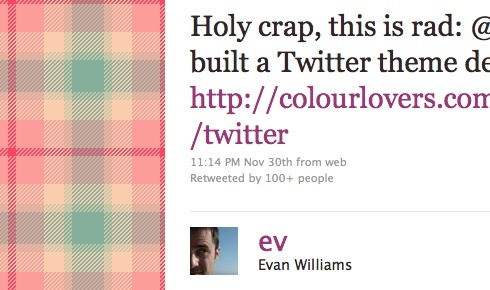 @ev "Holy crap, this is rad: @COLOURlovers built a Twitter theme designer: http://colourlovers.com/themeleon/twitter"
@Twitter "Can't get enough of the @COLOURlovers app! 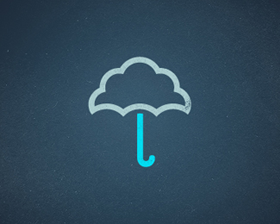 A slick customization tool for your Twitter background. 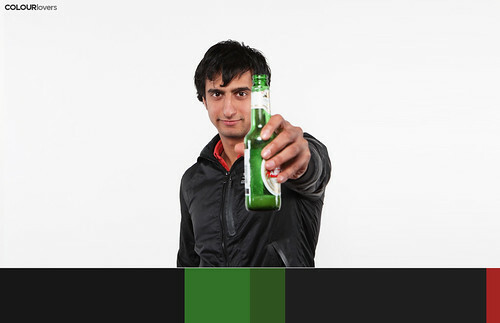 #appwednesday"
Want to create your theme using your own palettes and patterns from COLOURlovers? 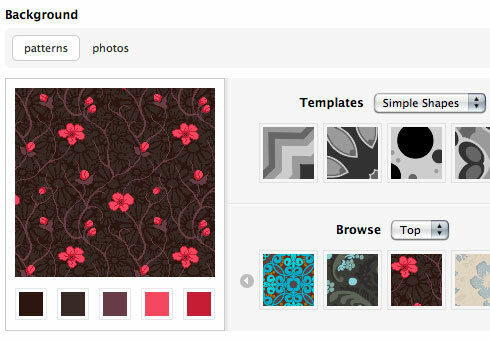 Login and browse your New & Top patterns or palettes as well as your Favorite New & Top. -Shuffle. Click the button to give you some inspiration by mixing up the order of the colors in your settings area. -Drag & Drop. Click and drag any of the 5 color squares in your pattern preview or down in your color settings to change their order. Theme Leon? What does that mean? No, no... Thee-mee-lee-uhn. Like Chameleon. Get it? As in a chameleon can change its colors... and you can change your theme colors... We're so proud of ourselves on this one. We didn't even go with our old trusty and take the first few lettes to make up a name... COlor PAlette SOftware (COPASO) & PHoto COlor PAlettes (PHOTOCOPA). 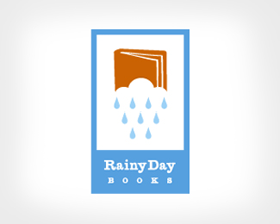 We're all about finding ways to share the love... and we're excited to be working with our friends at Inkd to do exactly that. We've partnered with them to design some stationery kits inspired by some of the beautiful palettes from our community... And if you love a design but want to use your own palette, all the designs are fully customizable! 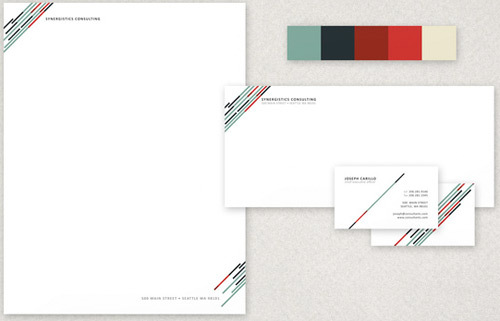 Each Kit includes a business card, letterhead and envelope in fully editable office stationary templates (both standard US and European sizes) in Adobe Illustrator, Microsoft Word (for PC or MAC) and Apple iWork Pages file-types. Wee! Inkd is extending a special discount for the launch of these new kits. Use the discount code "LOVERS25" for 25% off ANY Inkd product. 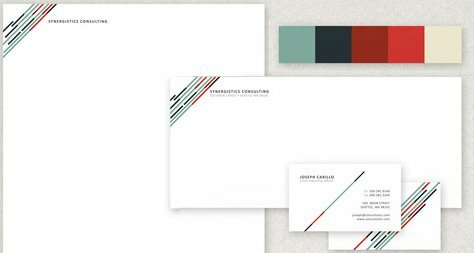 We’re proud to have partnered with the amazing color community resource COLOURlovers to create the inaugural set of Stationery Kits just for Inkd! This collection has been specifically designed to work easily with any of the over 1 million color palettes showcased on COLOURlovers. 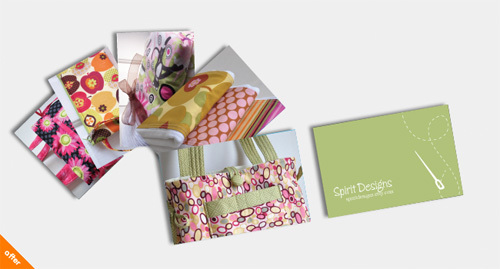 Colors in these designs can be quickly swapped to fit any industry look and feel. 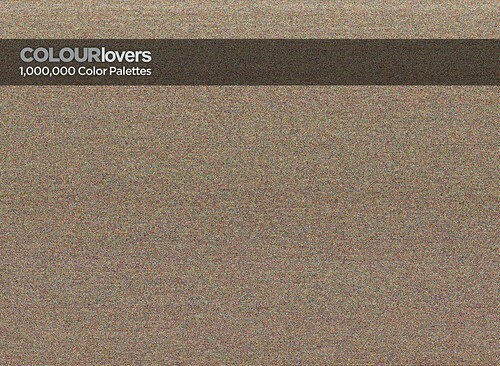 1 Million Color Palettes... Thanks for Sharing the Love! Wow! What an honor. It's so amazing how many of you have taken the time to share your color ideas & inspiration with us. COLOURlovers continues to make me very proud to be part of such a great community. Our 1,000,000th palette is a great milestone and we're excited and inspired to continue sharing the color love with you all. You're all so awesome. But our 1,000,000 wouldn't have been possible without our 999,999th... and every palette that has been lovingly shared on this site. Thank you all so much. (Each pixel is a color strip in a palette) Click to see larger version. One of my favorite things to watch is the interesting coincidences that pop up when you have people from all over the world naming colors and putting them in palettes. Some fun stuff in there... go have a look and laugh. What Do We Do With So Many Palettes? Ok, so that's a lot of color... We're working hard on the code for Version 4 of COLOURlovers that will make it easier to find the color inspiration you're looking for, to share your color ideas with others and to make even more palettes. Why do you create palettes? 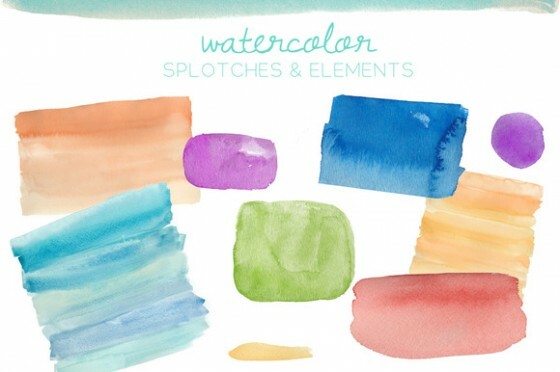 If you use palettes from COLOURlovers, what for? What makes COLOURlovers such a great creative community? Thank you all so much. I'm looking forward to the next million, 10 million... and every other colorful milestone we'll reach together.